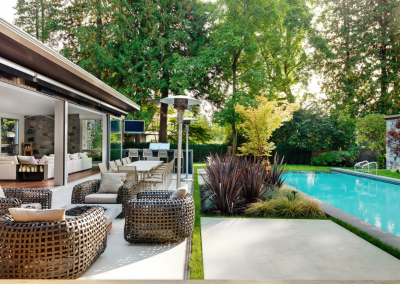 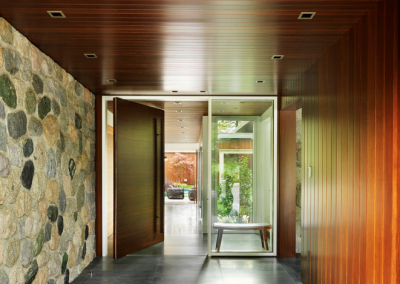 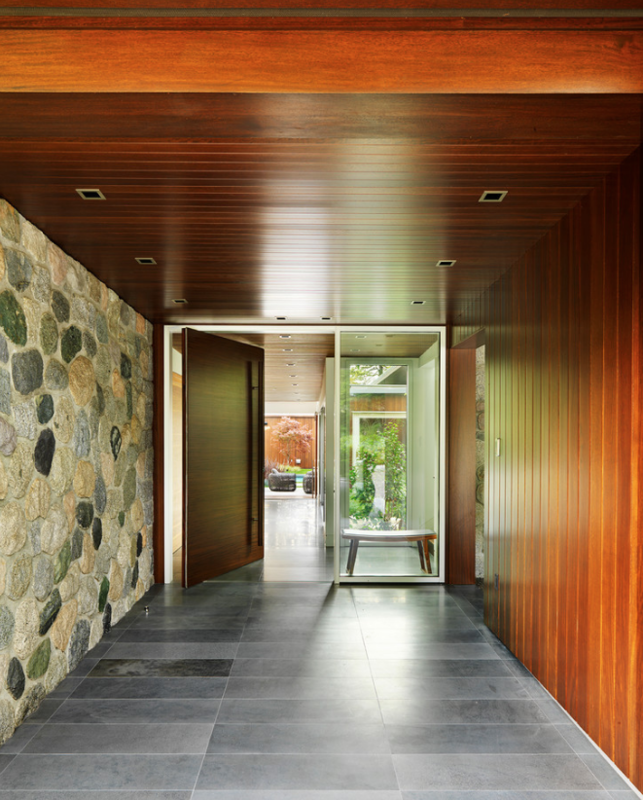 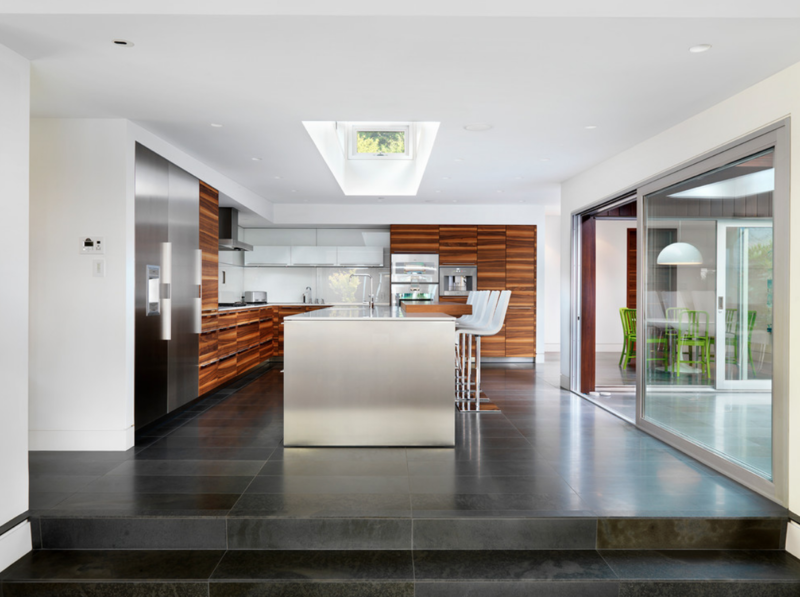 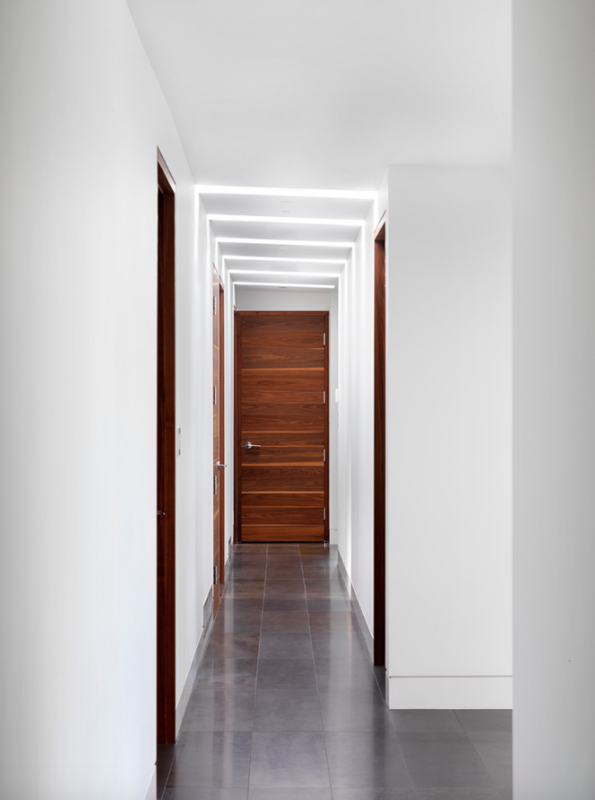 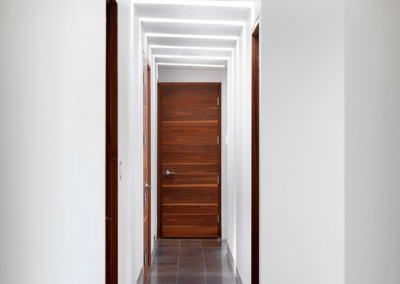 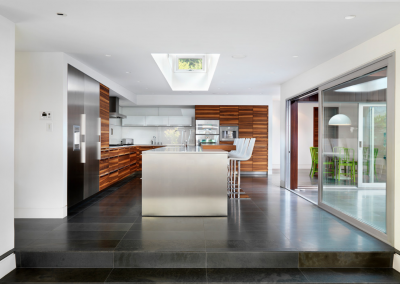 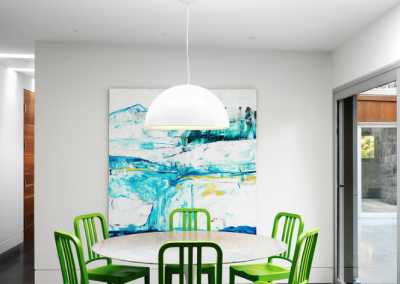 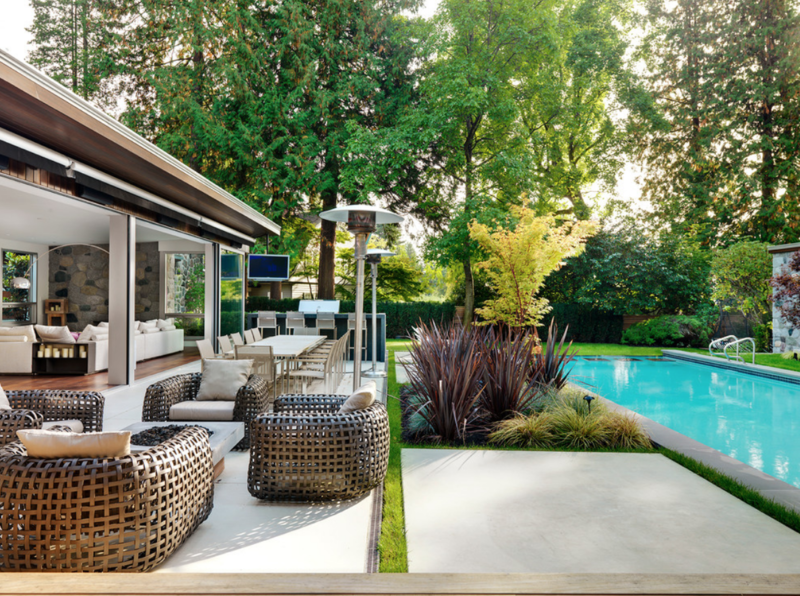 Cedarhurst residence was a complete renovation plus addition to a single-family residence. This single level wood frame home spreads out in several directions creating interesting indoor/outdoor relationships. 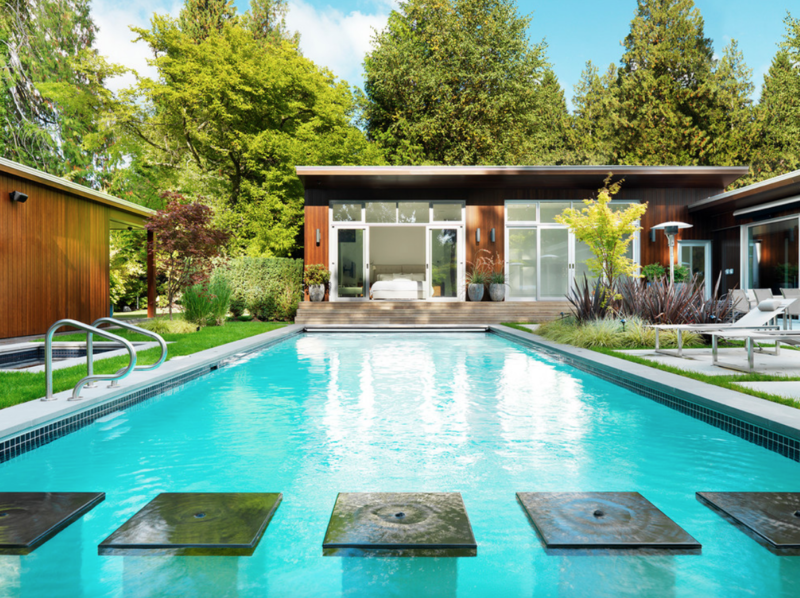 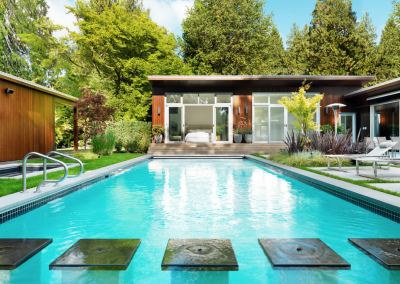 Amenities include an open carport, mechanically covered outdoor kitchen, 45’ infinity edge pool, cabana, mini golf course, sport court and in-ground trampoline. 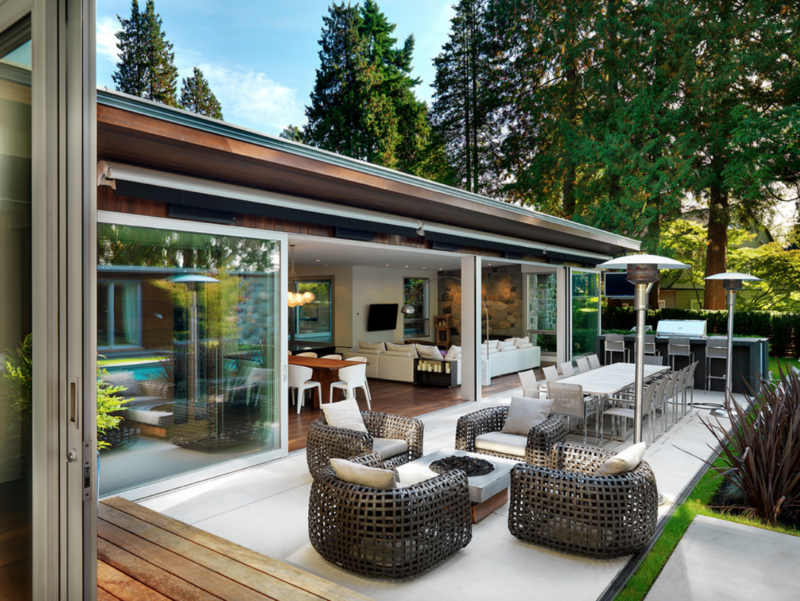 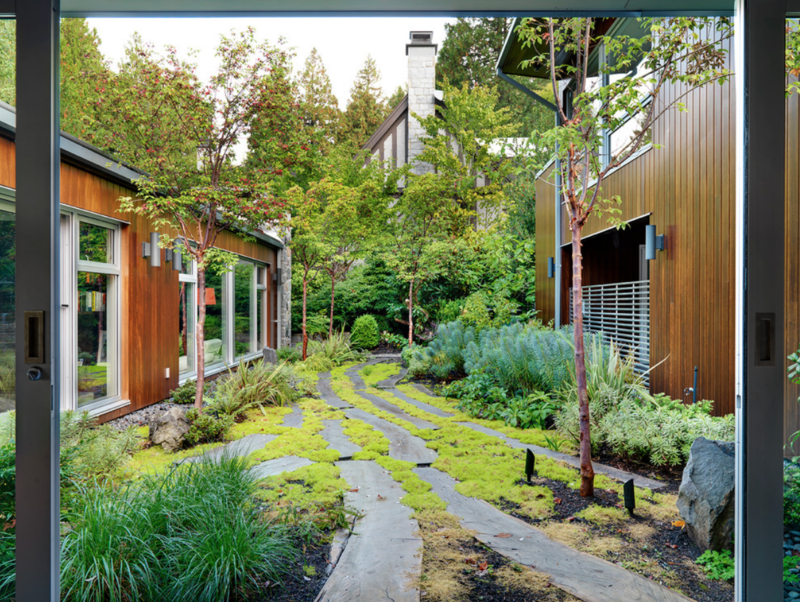 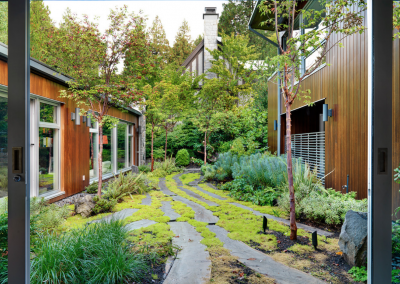 This design builds references the 50s west coast modern style and was a Winner of Western Living Design Awards in 2012.